I suppose shoe review is a little misleading. I would like to view this as advice, a guide to help an informed choice. I won’t be going into a huge amount of detail in terms of materials, comparisons with other brands and technology. At the Run. 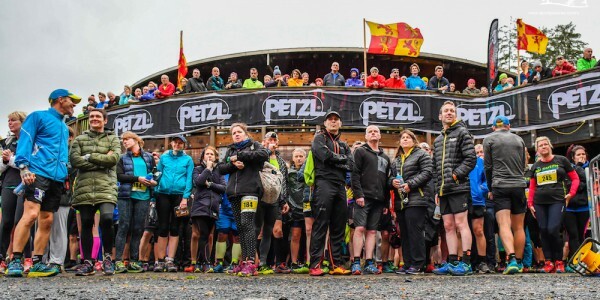 Coed y Brenin shop we are asked a lot of questions, most of which we can answer. But in some instances it’s best to gather some thoughts and get them down in text. The S-Lab Speed is a dark horse. It’s a specialist. And its world is grip. 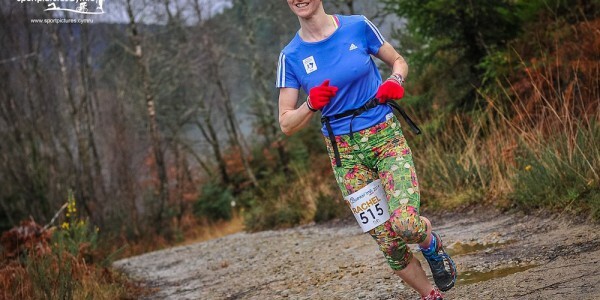 Let’s face it, in the world of trail and mountain running grip is pretty high up in the priority list. 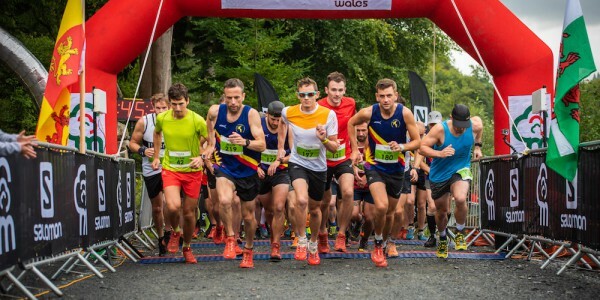 For some it sits at the top, what makes the shoe wearable or not, as said runner’s feet scream for grip as they descend a tricky wet singletrack, loose rock drop off, or long grassy hill. In the world of steep ups and downs the shoe that grips is the ultimate confidence giver. For others it might be about that sweet spot shoe that combines cushioning, ride and grip – the all-rounder. The dependable friend. A shoe that wont let you down on any given surface, rides nicely, is super-comfy, ticking all the boxes. But a jack of all trades, not really a master of any. For us in the Run. Coed y Brenin shop this is probably the most asked-for shoe, by men and women. In shoes like the Speed Cross 3, Salomon do this very well, and over 1.5 million people can’t be wrong! Grip doesn’t sit there as the domain of the outsole pattern and rubber compound alone though. When you talk about grip, you also need to talk about stability, when you talk about stability you need to talk about the drop. Again, this is one of the most asked questions in the store, the drop of the shoe. Some know what this, many others don’t. Which is fair enough. Running shoes are complex things these days, and manufacturers are falling over themselves to make the technical, more technical. In the most part this goes straight over the head of your average trail runner. Most people need it to be presented in a simple way. So, put simply, drop is the difference between the height of the mid and outsole at the back of the shoe, in comparison to that of the front of the shoe. E.g a shoe with a 20mm stack height at the back and 12mm at the front, has an 8mm drop. Coupling a ‘low drop’ with a relatively low stack, a great rubber compound that sticks, and a stud patterns that digs in, well, then you are talking grip! 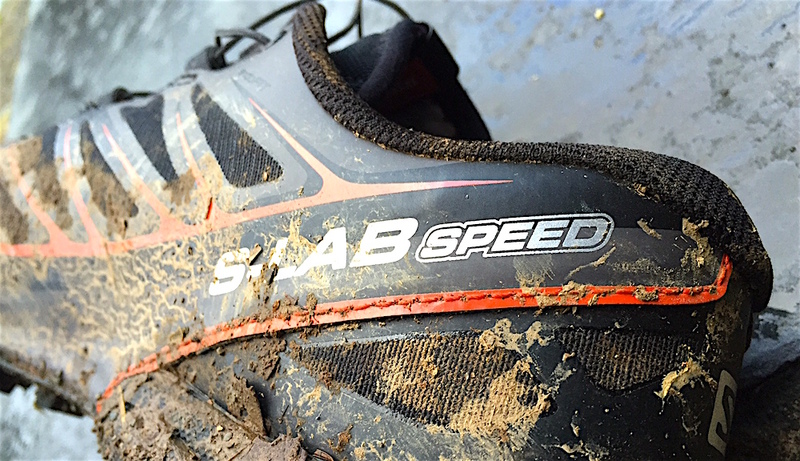 It’s fair to say that the S-Lab Fell Cross 1, 2 and 3 (produced between 2011 and 2015), were really good shoes. Part of the ‘no compromise’ department at Salomon – great fit, super comfortable, optimum technologies and materials. They didn’t really get that many complaints in that area. However, the one area the FCs lacked a little was the very debate I have outlined above. The grip just want quite there, and on wet rock, they struggled. It’s always good to be honest, and face your demons. And that is what the R&D guys at Salomon did. They got on planes and came to the Lake District. 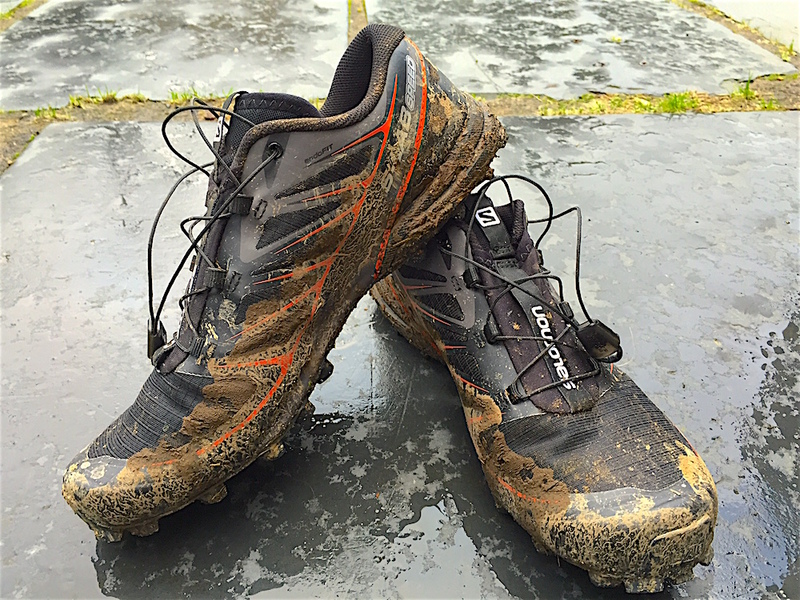 They tested on the harshest upland fells of England. Versus the very best competition. There were 4 days in total spent, testing, testing, comparing and testing, testing and comparing again. What came out of that period, was the need for grip, stability and a confidence inducing shoe, that could hold its head up and say, “I am worthy”. 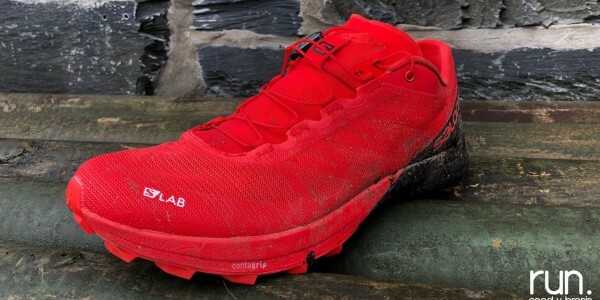 With the 2016 S-Lab Speed, Salomon are as close to that statement as they have ever been. This shoe is fantastic. With a 4mm drop, it’s low. The stack height of ‘cushioning’ is pretty optimum too and we would encourage prospective owners of the Speed to be happy with a low-drop, reduced cushioning shoe before buying (this is the beauty of the demo shoe system we have at Run. Coed y Brenin). The comfort levels (via the iconic EndoFit seamless ‘internal sock’ and Sensifit ‘ foot cradle’) are excellent. And, the grip, too, is something to write home about. Just ask top fellsmen Ricky Lightfoot and Rob Hope. They both rave about this shoe, with British and English fell running champion Hope in particular (in the past) a very hard man to please! And I have to agree with them. Up until December (and Storm Brian, or whatever the B was) my S-Lab Sense 4 Soft Grounds had been my faithful friends, but this relentless winter of 2015 /16 has gradually seen the trails and single tracks of Coed y Brenin and the Dyfi Forest (my stomping grounds) turn to mush. Lots of mud, lots of wash out (a term used when the packed surface of a trail just washes away to reveal bedrock and loose shale and rocks). So, it was time turn to the Speed. And I haven’t looked back. Of course, come the drier weather and a return to some kind of normality out there, I will be returning to the Sense (especially as the new Sense 5 arrives soon), but I will still hold the Speed in my locker. This shoe isn’t for everyone, but, if you race tough upland trails and fells and are after the ultimate grip-master, the confidence-giver, the tamer of gnarly ground; look no further. Available in-store at Run. 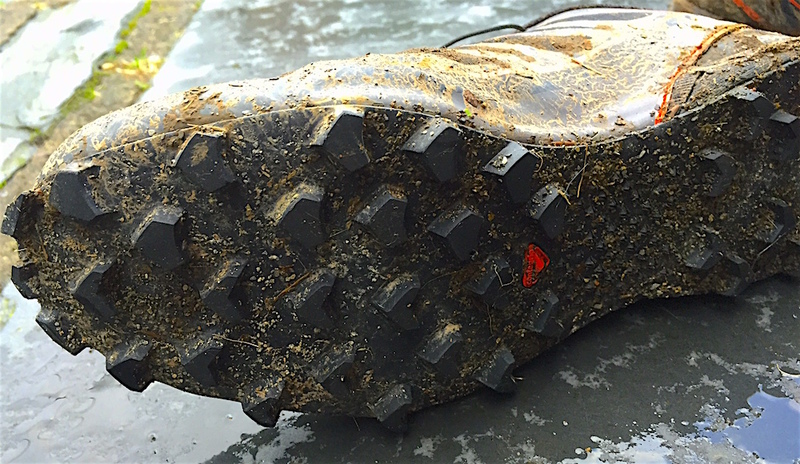 Coed y Brenin now and for hire at the UK’s only full time Salomon demo shoe fleet. Try, before you buy!